More than 70 horses at the Pin Oak Horse Show turned up to greet Arley. Four-year-old Arley, has a rare form of cancer and had one wish: to meet a real horse. 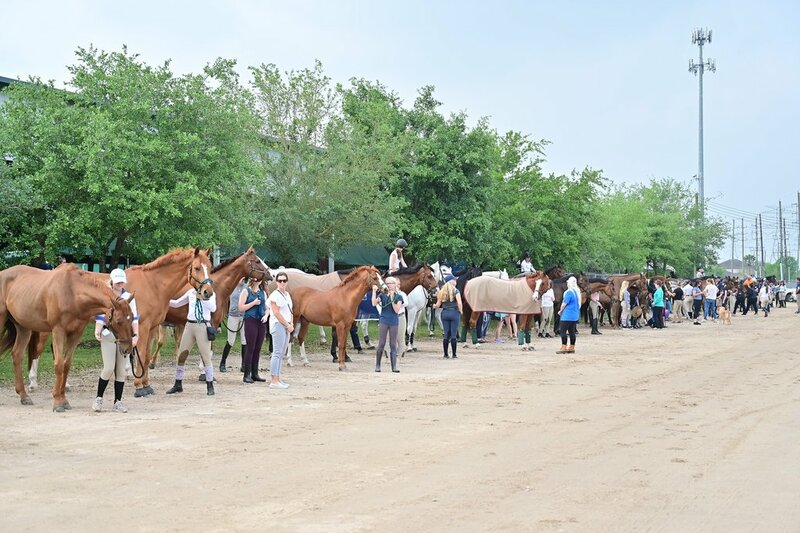 Thanks to the Candlelighters Childhood Cancer Family Alliance, a non-profit organization in Houston, Texas, dedicated to providing emotional, educational, and practical needs of families facing childhood cancer and the Pin Oak Charity Horse Show Arley’s wish came true in spades. Instead of meeting just one horse, a herd of 70 horses (and a few unicorns) turned out to meet her. Read the rest of the story at Noelle Floyd by clicking on the image. Damn it, had I heard of this I would have thrown Raven on the first truck heading to Texas.